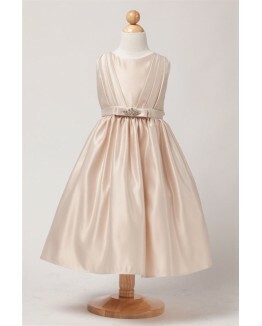 Simply elegant describes this dress perfectly. 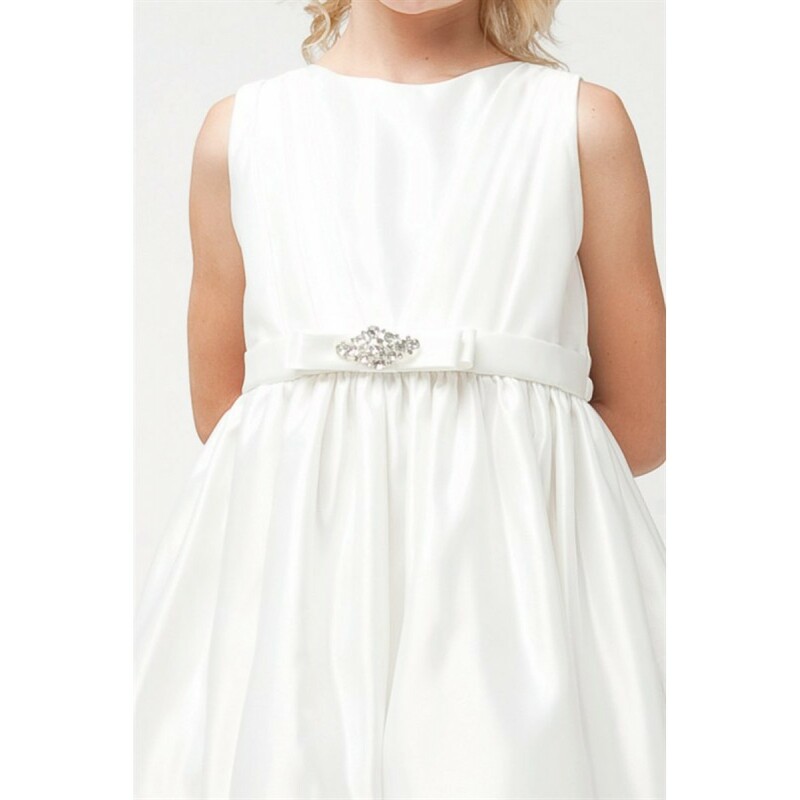 The pleated bodice is so classy and the brilliant rhinestone broche on the waistband gives it just enough sparkly flair for any special occasion. 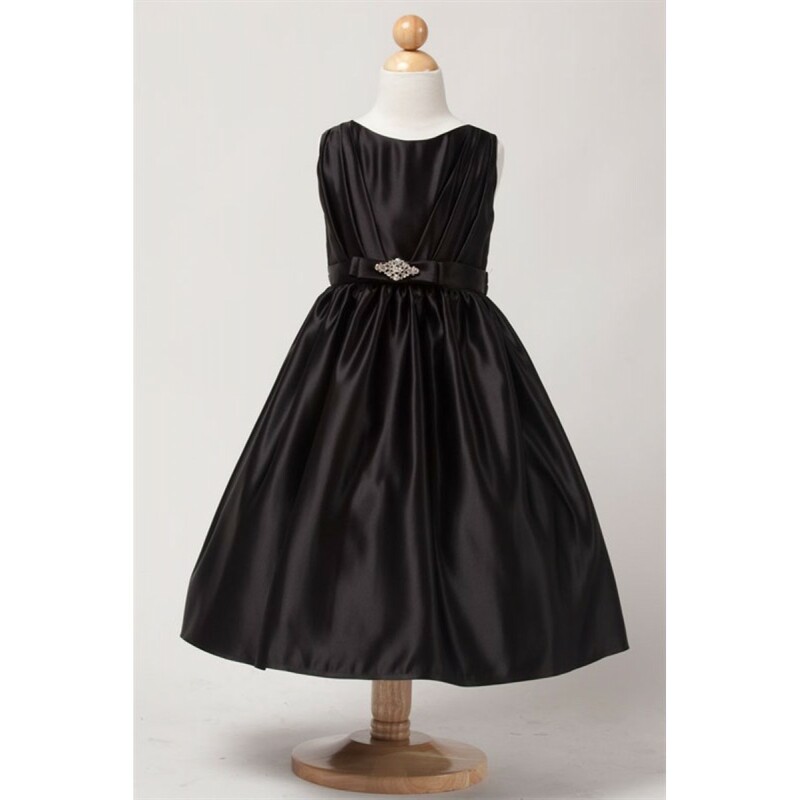 This is sure to become one of your girl's favorite dresses! 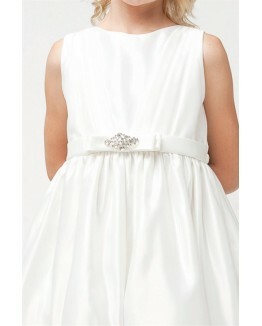 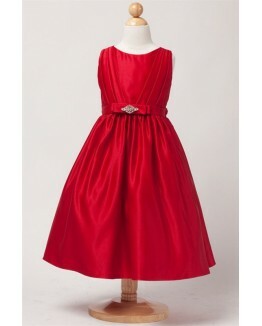 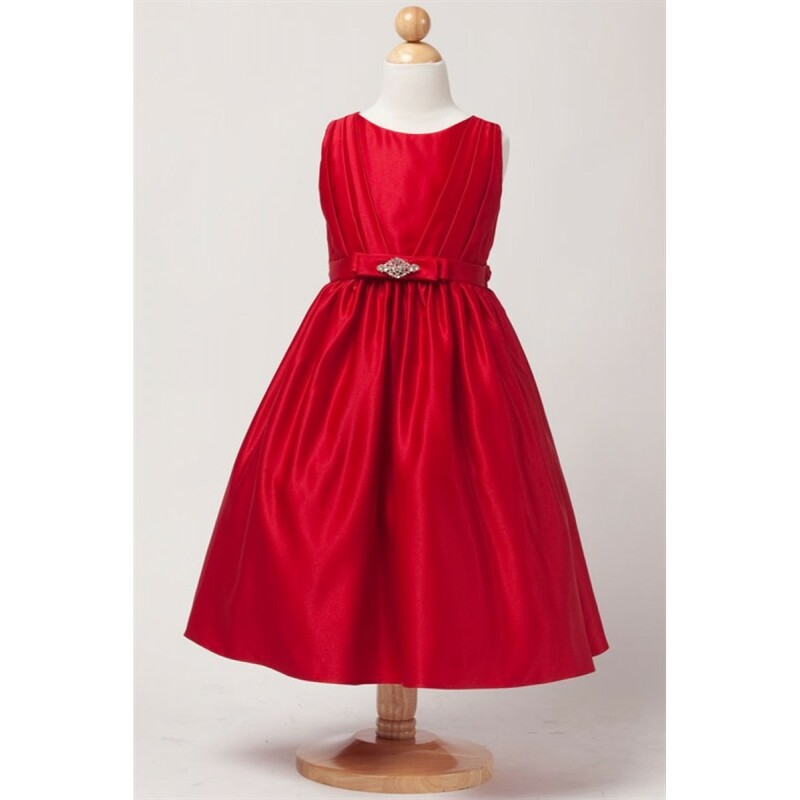 Great choice for a bridesmaid dress, flower girl dress, holiday dress, first communion dress, and any special occasion. 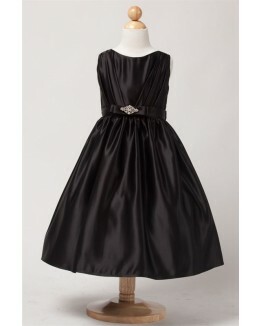 2 23 1/2" 22" 8" 27"
3 24 1/4" 22 3/4" 8 1/2" 28 1/2"
4 25" 23 1/2" 9" 30"
5 25 3/4" 24 1/4" 9 1/2" 31 1/2"
6 26 1/2" 25" 10" 33"
7 27 1/4" 25 3/4" 10 1/2" 34 1/2"
8 28" 26 1/2" 11" 36"
10 28 3/4" 27 1/4" 11 1/2" 37 1/2"
12 29 1/2" 28" 12" 39"